Announcement Welcome to Baby In The Hat! We have handmade photography props and accessories. We specialize in newborn items but have a wide variety of other sizes available. We always accept custom orders. If you have any questions feel free to send us a message. We are always adding new items so be sure to check back often. 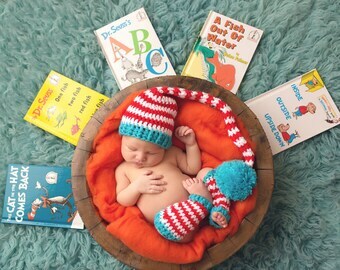 Welcome to Baby In The Hat! We have handmade photography props and accessories. We specialize in newborn items but have a wide variety of other sizes available. We always accept custom orders. If you have any questions feel free to send us a message. We are always adding new items so be sure to check back often.